Can Retail Weather the Perfect Storm? A wave has hit the retail industry recently, but it’s not a hip new fashion trend; it’s the announcement of store closures and mall closures across the country. Foot traffic in retail stores was reportedly down over the holidays, although this isn’t just a one-time statistical blip. Online purchases are expected to continue taking share from brick-and-mortar stores and more will shutter in the coming years – and the next phase in retail is going to be all about retailers figuring out how to court and get consumers committed. The National Retail Federation expects online retail growth of 8-12 percent this year – as much as three times the growth rate of retail as a whole. In some respects, it’s surprising how long it took for the internet-based buying environment to come this far. Even in the early 2000s, it was obvious that ecommerce was a force to be reckoned with – whether shoppers were focused on fashion and selection, or the ability to find deals from the comfort of their homes. Department store struggles have been a concern for quite some time and as of the beginning of 2016, the focus has been on store closures at Macy’s (100), JC Penney (140 by year-end), and Sears Holdings (50 Sears stores and more than 100 Kmarts), and even Walmart. 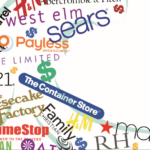 Shopping mall closures are expected to reach 1,000 within the next five years. Troubled national boutique and specialty retailers include BeBe, Rue 21, Abercrombie and Fitch, Guess, Crocs, Wet Seal, Limited, Payless, Radio Shack, and American Apparel, among countless others. 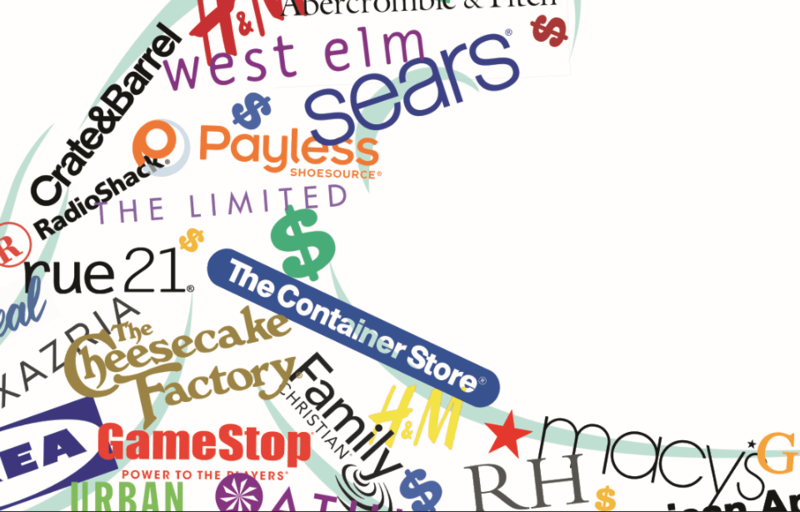 After liquidation sales, some have plans to go online-only, others will inevitably go bankrupt. What’s in Store for Retail Commercial? Despite the doom and gloom, local neighborhood centers and retailers are doing their best to cope. (Note that, when you subtract fuel and car sales, brick-and-mortar retail still makes up more than 80 percent of sales, according to Internet Retailer and Commerce Department statistics.) Last year, experiential retail became the go-to strategy – providing customers more engagement than what they’d receive in an online shopping experience. Although this trend will continue, it may be too late for retailers who haven’t already implemented a plan to deal with the perfect storm of increasing rents and ubiquitous options for online shopping. Some local business owners, unable to keep their doors open with a traditional site, have been transitioning to online-only models. Other businesses are reinventing themselves by emphasizing service-oriented rather than product-based offerings. Currently, there are several segments that seem more resistant to the conversion. The first is specialty shopping centers. The convenience of online shopping aside, people want to be part of a community and neighborhood – bumping into friends at stores, exercise classes, entertainment venues, salons, and so on. There are certain tasks that you physically need to do and can’t be accomplished on line. At the end of the day, we’re social animals, even if we spend a lot of time glued to our handheld devices while we’re out and about. As part of that trend, we’re seeing clinics and medical practices moving into retail settings. They want visibility and foot traffic that comes from being in the middle of a neighborhood instead of lumped into a medical plaza campus. That’s an opportunity for reuse and it fits in nicely with the evolution of medical care delivery. Grocer-anchored retail centers also seem to be faring better, since online grocery shopping hasn’t yet taken off here the way it has in many big cities with urban centers. While consumers still apparently like picking out our own fruit and vegetables, over time we’ll likely see these centers hit as well. The likely result will be grocery stores in a more compact format. Retail has evolved significantly over the past two decades, and retail commercial real estate has been forced to adapt. Online shopping has placed pressure on shopping center owners and developers to rethink their properties. Ironically enough, there’s also a reverse trend occurring. Internet behemoth Amazon has already opened several brick-and-mortar bookstores, and will soon launch pickup locations for its AmazonFresh grocery outlets. Beth Jo Zeitzer, Esq., is the owner and designated broker of R.O.I. Properties, a full-service real estate brokerage firm focused on the enhancement of real estate assets. R.O.I. serves investors, property owners, attorneys, trustees, lenders, and fiduciaries in the acquisition, lease and disposition of commercial and residential real estate. Services include Brokerage, Receivership, Special Commissioner/Special Master Appointments, for retail, office, industrial, apartments, hotels, schools, land and single- family assets.